The Dynamic text SmartPlugin™ enables you to maximise your PPC campaigns with the use of dynamic headlines. It’s essential that your company’s message remains consistent throughout your campaign, particularly from your PPC adverts to your landing pages. This consistency will not only reduce your bounce rate – it will also improve your Google Quality score thereby allowing you to maximise your PPC investment. 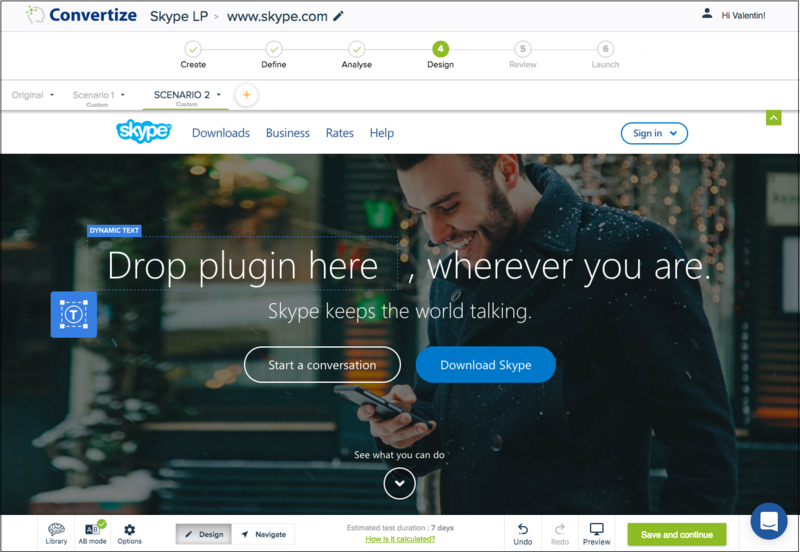 Our SmartPlugin™ dynamically adjusts your landing pages’ copy in accordance to which advert was clicked by the users, ensuring perfect consistency throughout your marketing funnel. The goal is to provide relevant, consistent content between ad and landing page. This is easy with the Dynamic Text SmartPlugin™. 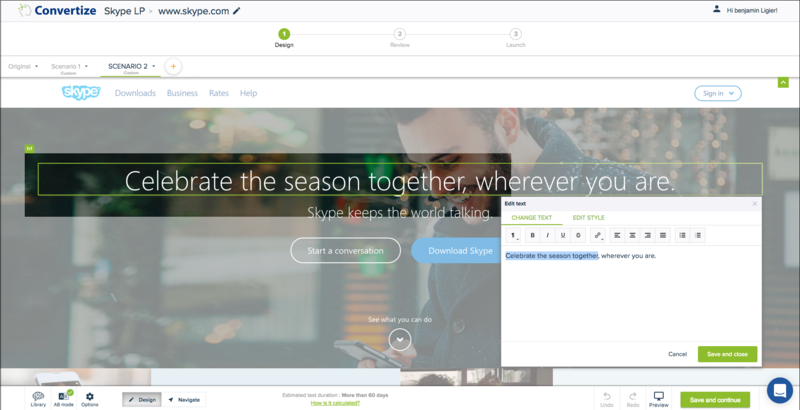 Then copy and remove the text you would like to adapt dynamically to your ad campaigns. We will reuse the deleted text as default text once we have installed the plugin. You will see the Dynamic Text feature in the SmartPlugin menu, which is movable but by default should appear on the left side of the Editor Room. As with other SmartPlugins, it is a drag and drop feature, and whilst moving it you will see a placeholder with ‘Drop plugin here’. You will see a configuration form open up. Add the Default text to appear for the parameter, which in the instance below is sc_text_0. 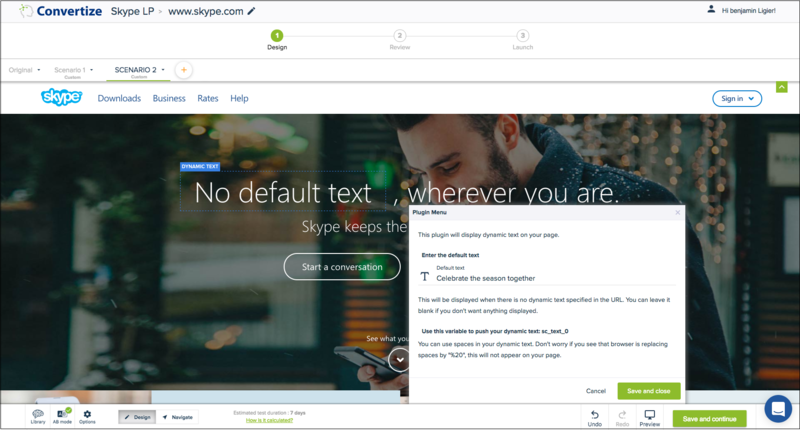 In the example of Skype, you can type any content or leave it blank. We are going to paste the original text “Celebrate the season together”. 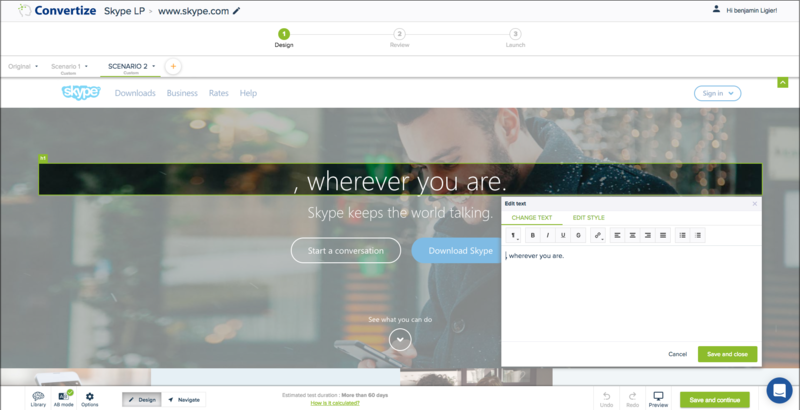 This is what will appear for visitors who don’t arrive at the page via one of you preconfigured links. Please note: The initial parameter for the Dynamic Text SmartPlugin™ is sc_text_0 however it may be different if you have previously used and deleted a previous SmartPlugin. Check the exact sc_text parameter for the plugin in the menu popup as shown below – for example, it may be sc_text_1. Go to your campaigns and add the parameter sc_text_0 to your URL and specify the content you want to replace the default value you set up using Convertize. 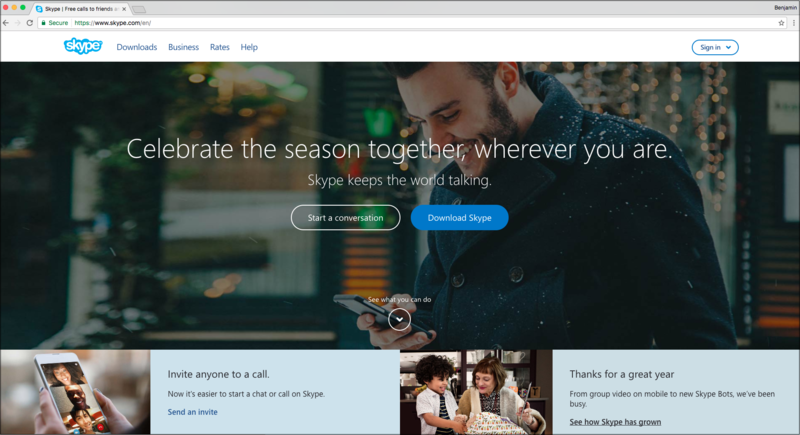 Bear in mind that if Skype doesn’t run any of the Adwords, the default message ‘Celebrate the season together’ is the content that will be displayed.